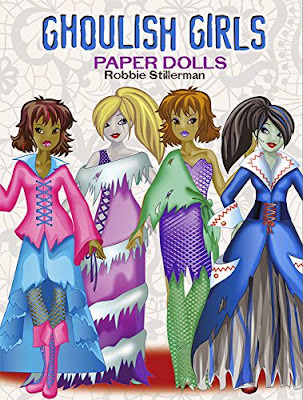 Ghoulish Girls paper dolls was just published recently, in June. I'm excited about Steampunk Vixens, which comes out in September. It's by well known paper doll artist Ted Menten. 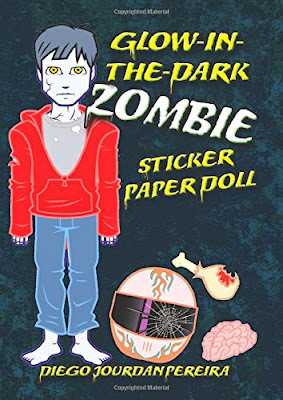 This zombie sticker paper doll glows in the dark!